SmartLinx Solutions, a leader in workforce management solutions, announces the release of SmartLinx 6, the latest iteration of its award-winning software suite. 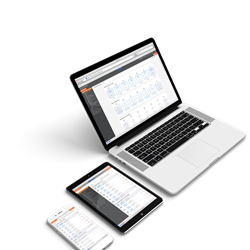 SmartLinx 6 includes industry-first Innovations in staff scheduling, time and attendance, Payroll-Based Journal compliance and more. SmartLinx 6 features an easy-to-use, mobile-friendly interface. SmartLinx 6 combines real-time data access and predictive analytics with advanced workforce management functionality that enables organizations to not only make faster business decisions, but smarter, more informed ones as well. SmartLinx Solutions, a leader in workforce management solutions, today announced the release of SmartLinx 6, the latest iteration of its award-winning software suite. Developed with next-gen technology, SmartLinx 6 has been completely reimagined, and is powered by an intelligent scheduling engine to optimize the way people work — together. SmartLinx makes work, work better. Used in over 4,300 organizations nationwide, the SmartLinx solutions suite helps manage people and processes by harnessing the power of real-time data. Its solutions suite includes talent acquisition and onboarding, human resources, benefits and payroll, time & attendance, scheduling, compliance, and business analytics. For more information, visit SmartLinxSolutions.com, email hello(at)smartlinxsolutions(dot)com, or call 877-501-1310.